Yeah last One! 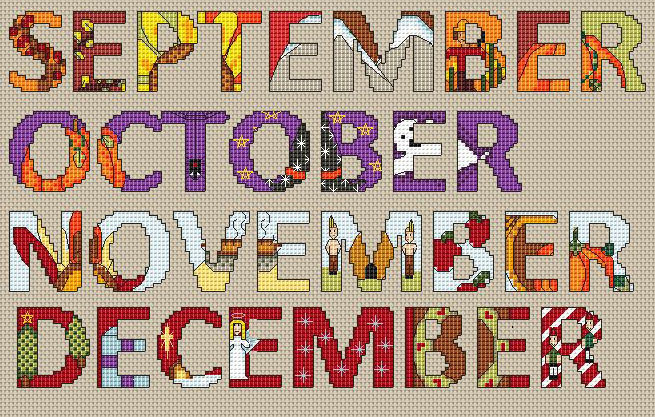 Months Sept through December I think is my best designs yet! the the other months now seem plain compared to these last 4 months..... oh well they are done. I hope you like these. I love to cross Stitch it is my top 3 favorite crafts projects to do. I will be working on another Angry Bird hat this week. they are cute and quite popular for I will be doing the the pig or the black bird I haven't decided yet. So come back and look out for this next one!